There’s a reason Bondi Icebergs is one of the most Instagrammed locations in the world. It’s such a beautiful spot to start the day – especially if you’re lucky enough to catch the sunrise over the ocean. The Bondi to Bronte walk officially starts just past Icebergs pool, but I like to start from North Bondi and take in all of the magic that is Bondi Beach in the early hours of the day. 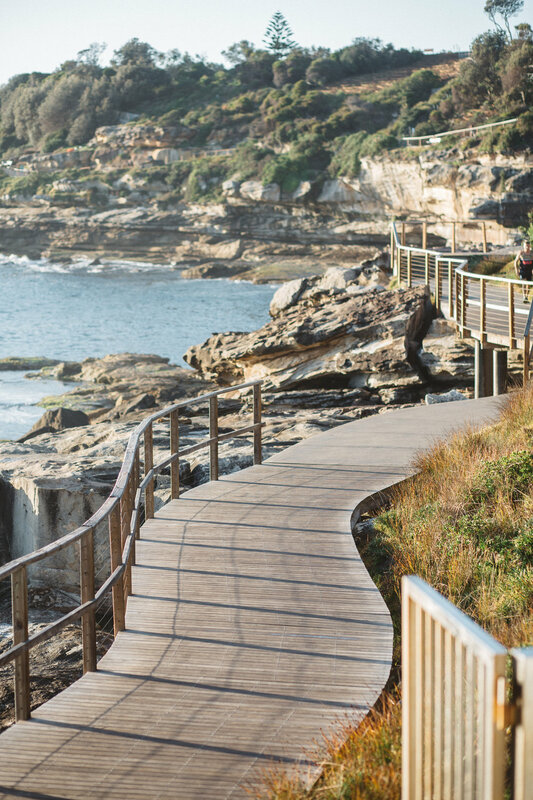 The walk is approximately 6kms return, but if your legs feel like taking you a little further you can keep walking (or running) all the way down the coastline past Clovelly, on to Gordon’s Bay and Coogee. And when you're done, it’s the perfect opportunity to take a morning dip in the clear, blue ocean before the crowds start flooding in, especially during the summer months. 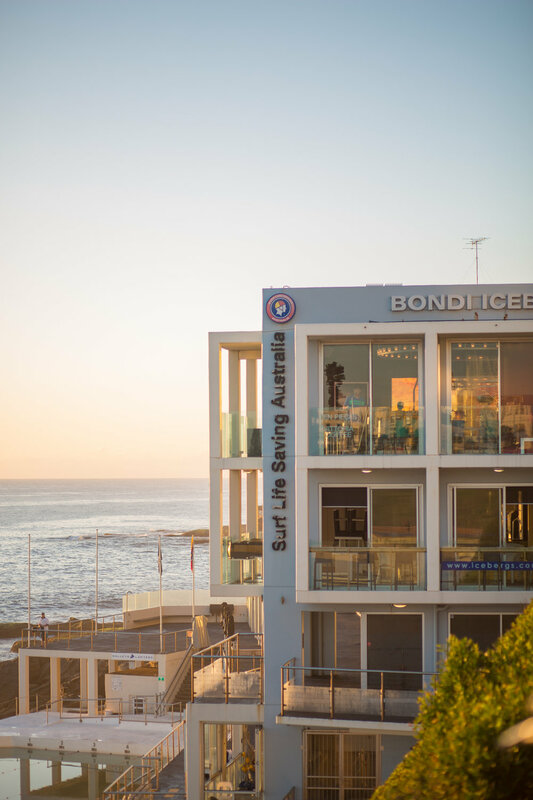 Parking can be a bit of a headache in Bondi, but if you’re there before 8am you can park for free right between one of my favourite restaurants, North Bondi Fish and the Surf Club. After that it’s unfortunately a hefty $7.40 an hour (less in winter). This bustling beachside café-come-restaurant is the ideal spot to spend a slow morning with coffee and brunch. They have everything from house-made vegemite on toast to corn fritters or a brown rice poke bowl with kingfish. The chefs emphasise sustainable and organic food, with everything sourced locally or from their garden behind the restaurant. It’s become a local favourite, and for a good reason – the coffee is one of the best in the area too. Their sister cafés in Roseberry and Byron Bay boast the same delicious food, ethical thinking, and welcoming atmosphere. Acai bowls took off in Sydney a while ago, with most cafes now serving the superfood-filled breakfast. Bare Naked Bowls has been crowned one of the best spots for acai bowls in Sydney, and I couldn’t agree more. You can choose from about 8 different acai blends and toppings, alongside their selection of vegan salads, raw treats and brekkie bowls. It’s a haven for vegans, vegetarians, paleo and gluten free eaters. Just beware though, these bowls are LOADED with sugar. Thank god you can walk or run it off on you way back to Bondi! After a long run, what better way to quench your thirst than a cold pressed juice. If you need something a bit more filling, they’ve got a range of superfood salad bowls or healthy, raw treats. The perfect start to a busy day or a great spot to relax and enjoy the sunshine. Sometimes a fresh loaf of bread is all that’s needed to make the day better. Iggy’s shelves are full of perfectly baked loaves from around the world, and are usually sold out each day. The best addition to your lunchtime salad or eggs for brekkie at home.